Sydney is by far the largest and most popular city in the Land Down Under. It’s a cosmopolitan hub of culture filled with intriguing locales, iconic landmarks and diverse populace. The enormous urban landscape gives way to some of the most wonderful national parks, mountain peaks and forests. It is an ideal city in so many ways and it would be really unfortunate if you didn’t take time to get to know it better. If you’ve arrived to the Harbour City but you are on a tight schedule for this reason or another, here’s how to spend two days in Sydney. Once you finally land at the Sydney airport, you might feel fatigue due to the time-zone difference or simply because you have flown for a long time. However, don’t let this discourage you. Instead, go straight to the central business district and enjoy a light meal (possibly a salad) with a strong influx of caffeine to top it off. 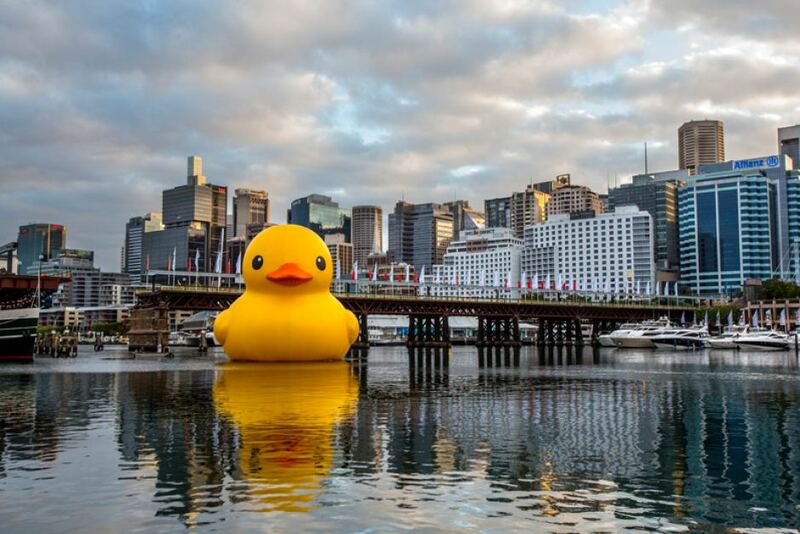 In fact, you might as well use this opportunity to enjoy a bit of sightseeing and look for a restaurant on the docks of the famous Darling Harbour. It is one of the busiest urban hubs in the city and a hotspot that always brims with activities. From here on, you can visit the nearby SEA LIFE Sydney Aquarium or Madame Tussauds Museum. After that, proceed to visit the Sydney Tower and climb to the second tallest observation deck on the southern hemisphere. It offers a breath-taking panorama of the cityscape at 309 meters above the ground, which can serve as a good introduction to the city and it can help you get your bearings. As you navigate through the central business district to familiarize yourself with the territory, it can always serve as a point of reference so you don’t get lost. 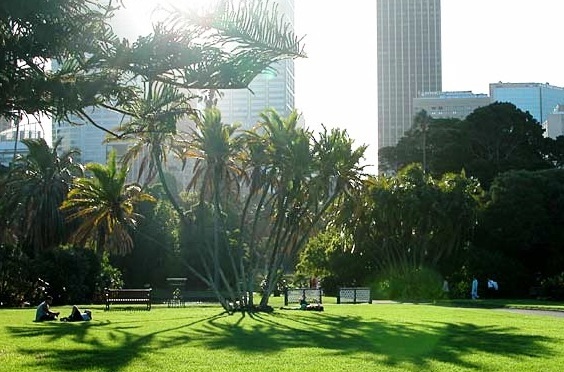 After a hectic trek through one of the busiest parts of the city and some nifty sightseeing, you can rest for an hour or two in Sydney’s tranquil Royal Botanic Gardens – a beautiful patch of greenery that cuts into the very heart of this concrete jungle. The best thing about it lies in the fact you are still within the borders of the inner city and everything is just a short walk away. You can visit the nearby Museum of Sydney and/or Art Gallery of New South Wales before you embark to finally see some legendary landmarks. Of course, a visit to Sydney is nothing without a close inspection of two of the most legendary landmarks in the southern hemisphere and arguably the world. Take a trip across the Rocks, Sydney’s most intriguing historical district, and visit the legendary Opera House before you climb the imposing Harbour Bridge. Try to time the climb exactly right to catch the mesmerizing Pacific sunset. If you are a part of a larger group of tourists, you can opt for a premium coach hire in Sydney which can transport you to a remote location within the larger urban area. This is especially convenient in case you need to cover great distances that cannot be overcome by foot in a reasonable time span. Time-efficiency is key when you are visiting such big cities that are nigh-impossible to be seen in their entirety over a single weekend. In order to make the most out of your experience – especially if your accommodation is located out of the city limits or in one of the surrounding suburbs, get up as early as you can to savor your day. If you get a chance, rent a boat or board a ferry after a nice breakfast near the docks and sail across the Sydney Harbour to get a completely new perspective of the city. If your day is well planned, you can head all the way to the Manly peninsula and enjoy a vibrant community that surrounds Manly Beach – a row of bars, restaurants, retailers and incredibly upbeat people. However, even though this is an ambitious excursion, leave some time in your daily schedule to at least visit Bondi Beach in the late afternoon. This enormous stretch of sandy coastline is a hub of aquatic activities and beachside delights one simply has to experience on their first visit to Sydney. If you are an avid history buff, there is an idyllic suburb of Sydney right next to Bondi that is well known for its well-preserved facades from the Victorian era as well as picturesque streets – Randwick. A nice stroll through this neighborhood with an audio guide playing on your device is a nice way to cap off the day. When you have a limited amount of time to savor a city as big and diverse as Sydney, you have to economize and strategize. A pre-determined plan for tours and activities throughout your stay is a solid strategy to cover a lot of ground and enjoy nearly every aspect of the Harbour City.